All YouTube Marketing Agencies in London, NYC or Melbourne are correctly telling their clients about the potential and power that can be found in video marketing right now. Not all of them however have the capabilities and competences to actually deliver on that message. SearchButlers can. We understand the nuanced approach that is necessary to drive not just brand awareness but website traffic and lead generation through a combination of narratives and compelling video creatives. YouTube is the 2nd Largest Search Engine, the Fastest Growing Search Engine and increasingly being known as the “Research Engine” for consumers looking to make decisions in traditionally long buying funnel industries. Youtube ads should really only be used in conjunction with a well rounded total social media marketing campaign. By itself it can help with brand awareness and can generate leads but at SearchButlers, we always like to build campaigns that are based on your total consumer journey analysis so we can maximize your profitability. This may also include an effective local SEO campaign and perhaps some search engine marketing as well. YouTube currently receives 27 percent of all digital video advertising spending in the U.S. 62 percent of marketers still expect to increase their budget in 2019. Seventy-nine percent of the respondents are highly confident that their YouTube video advertising content will drive purchases as well as build brand awareness. What Types of YouTube Marketing are Available? TrueView Ads are the most commonly known and traditinal video ad type on YouTube. Advertisers will only pay for these videos when viewers watch or interact with at least 30 seconds of their ad. If videos are less than 30 seconds long then you only pay if the entire video is consumed or interacted with. A beautiful thing that offers so much value and free branding. Why? Most people will wait the 5 seconds and then hit “skip ads” – in that scenario its 100% free branding! Think of Pay-Per Click value and you have something similar with Discovery Ads. The ads are displayed at the top of the YouTube results page which offers prime eye catching opportunity and has a good chance of being clicked. 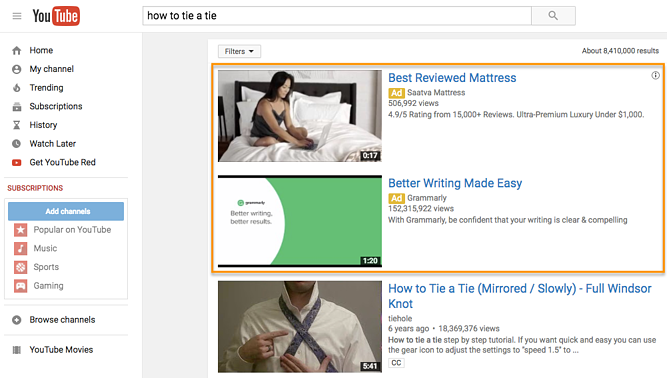 The ad doesn’t have to be relevant to the video search itself but it will be relevant to the searcher. 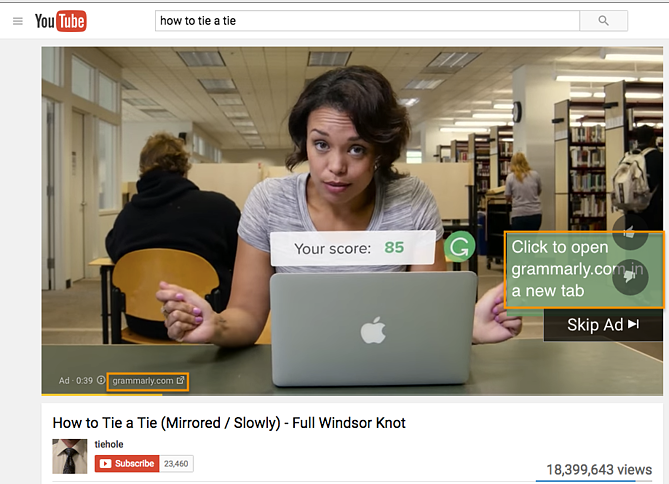 TrueView in-stream ads play before someone watches the video they’ve selected on YouTube. Viewers sometimes have the option to skip the ad after watching it for five seconds. You can also make them play anywhere in the Google Display Network (GDN) — or sites that purchased Google video ad space. There are times when in-stream ads become non-skippable and can play before, during, or at the finish of the focus video. This campaign style is known as Preroll ads, and they last between 15 and 20 seconds in duration. Preroll ads are very similar to TrueView ads in their allotted content. You can include dialogue, audio, people and other elements that you find best represent the message you would like to portray within the 15 to 20 seconds time period that the ads last. Because preroll ads can’t be skipped, these videos are best created with a call-to-action (CTA) so you can optimize the attention you do have from the viewer. In other words, encourage viewers to click on your ad and receive something in return. 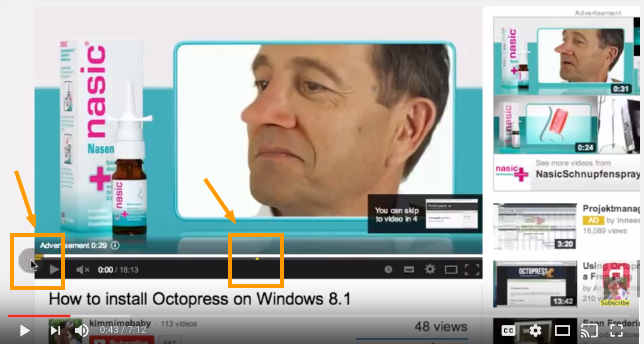 Bumpers are the shortest type of YouTube video ad available to you and the last option for us to discuss. 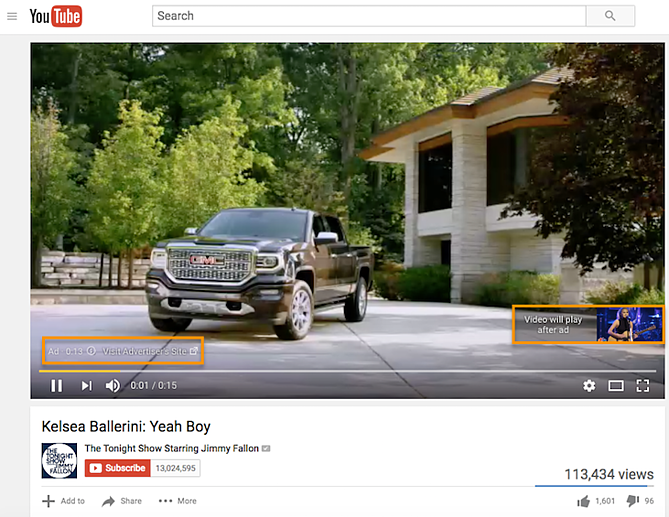 At just six seconds per bumper, these advertising slots play before a viewer’s chosen video similar to the Pre-roll or Skippable. Bumper video ads are too short at just six seconds, to give any meaningful new information to its audience but work wonderfully well as bridge content to compliment broader video marketing campaigns. Are you looking for a youtube marketing agency in London to help you with your video advertising? You’ve found the team that can deliver insight, impact and growth across your marketing strategy. We look to amplify your message at every stage of your consumers journey. Get in touch today to find out our recommendations! Want To Talk To Us Now? Click Here!